This wardrobe has been crafted from reclaimed solid teak, ensuring it will last for years to come. 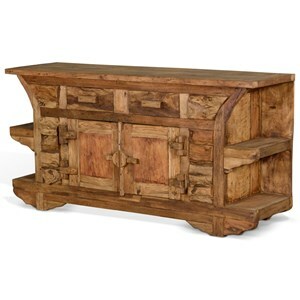 Its rustic design makes this piece a perfect addition to any lake house or country cabin. 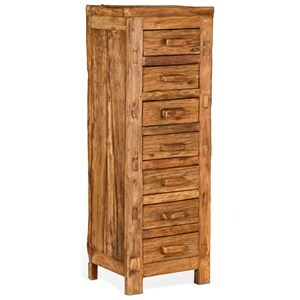 The Artifax Rustic Wardrobe with Three Shelves by Sunny Designs at Powell's Furniture and Mattress in the Fredericksburg, Richmond, Charlottesville, Virginia and Maryland area. Product availability may vary. Contact us for the most current availability on this product. 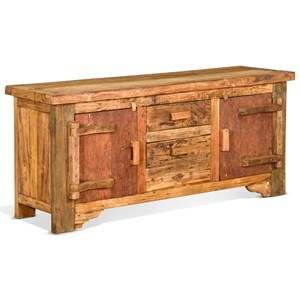 Constructed from solid reclaimed teak wood, these rustic pieces will be with your family for years to come. Natural imperfections and weathering that come with reclaimed wood make every item in this collection truly unique. 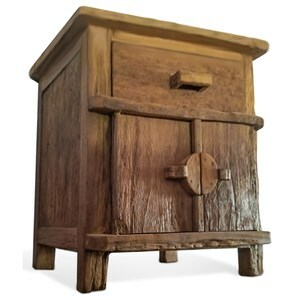 The Artifax collection is a great option if you are looking for Rustic furniture in the Fredericksburg, Richmond, Charlottesville, Virginia and Maryland area. Browse other items in the Artifax collection from Powell's Furniture and Mattress in the Fredericksburg, Richmond, Charlottesville, Virginia and Maryland area.